The Insider Monkey team has completed processing the quarterly 13F filings for the September quarter submitted by the hedge funds and other money managers included in our extensive database. Most hedge fund investors endured a torrid quarter, which certainly propelled them to adjust their equity holdings so as to maintain the desired risk profile. As a result, the relevancy of these public filings and their content is indisputable, as they may reveal numerous high-potential stocks. The following article will discuss the smart money sentiment towards Las Vegas Sands Corp. (NYSE:LVS). Is Las Vegas Sands Corp. (NYSE:LVS) a superb investment right now? Investors who are in the know are becoming more confident. The number of bullish hedge fund positions went up by 10 lately. Despite that, the company didn’t come close to be included in the list of the 30 most popular stocks among hedge funds in Q3 of 2018. In the 21st-century investor’s toolkit, there are plenty of indicators investors can use to evaluate stocks. Two of the most under-the-radar indicators are hedge fund and insider trading interest. We have shown that, historically, those who follow the top picks of the top investment managers can trounce the broader indices by a superb margin (see the details here). The American casino and resort company logged third-quarter earnings of $0.77 per share, compared to $0.77 per share in the year-ago period. In a research note published Oct. 16, HSBC Securities gave Las Vegas Sands Corp. a Buy rating. Meanwhile, Stifel, Nicolaus & Co. posted a $86 price target for Las Vegas Sands Corp. stock, rating it a Buy in a July 26 analyst note. Out of 19 analysts, four have the stock on buy, seven on outperform, eight gave it a hold rating, while none of them have it on underperform or sell. Robert G. Goldstein is responsible for the last major insider purchase, snapping up 10,000 shares when the stock was at $71.13. Since then, the company’s share price has fallen sharply, trading at a 22.76% discount as of this rating. Let’s go over the fresh hedge fund action regarding Las Vegas Sands Corp. (NYSE:LVS). How are hedge funds trading Las Vegas Sands Corp. (NYSE:LVS)? At Q3’s end, a total of 38 of the hedge funds tracked by Insider Monkey held long positions in this stock, a change of 36% from one quarter earlier. 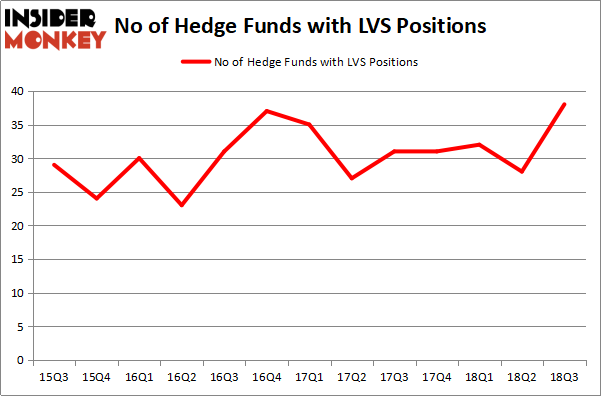 On the other hand, there were a total of 31 hedge funds with a bullish position in LVS at the beginning of this year. So, let’s examine which hedge funds were among the top holders of the stock and which hedge funds were making big moves. Among these funds, Two Sigma Advisors held the most valuable stake in Las Vegas Sands Corp. (NYSE:LVS), which was worth $327.8 million at the end of the third quarter. On the second spot was AQR Capital Management which amassed $256.2 million worth of shares. Moreover, D E Shaw, Millennium Management, and Renaissance Technologies were also bullish on Las Vegas Sands Corp. (NYSE:LVS), allocating a large percentage of their portfolios to this stock. Now, key hedge funds were leading the bulls’ herd. Ascend Capital, managed by Malcolm Fairbairn, established the largest position in Las Vegas Sands Corp. (NYSE:LVS). Ascend Capital had $16.8 million invested in the company at the end of the quarter. Doug Silverman and Alexander Klabin’s Senator Investment Group also made a $14.8 million investment in the stock during the quarter. 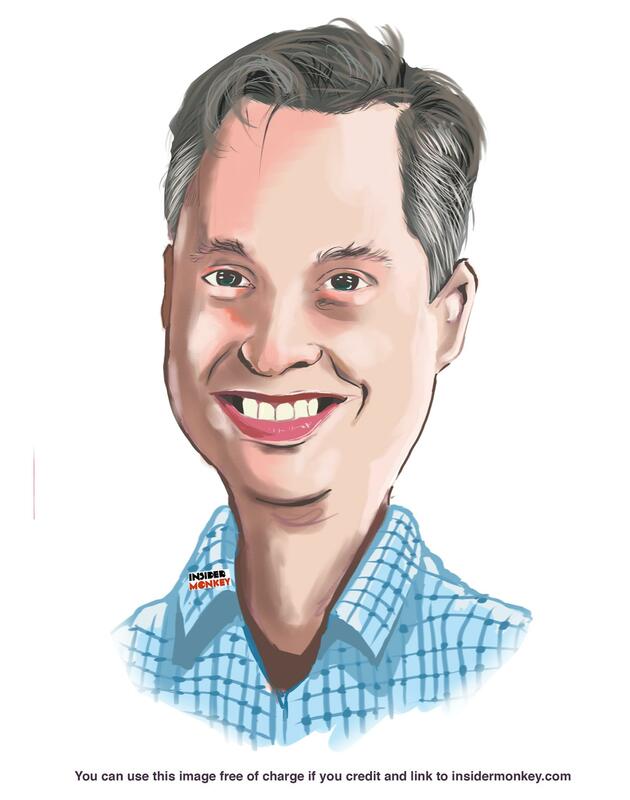 The following funds were also among the new LVS investors: Matthew Tewksbury’s Stevens Capital Management, Doug Gordon, Jon Hilsabeck and Don Jabro’s Shellback Capital, and Bernard Selz’s Selz Capital. Let’s also examine hedge fund activity in other stocks similar to Las Vegas Sands Corp. (NYSE:LVS). We will take a look at Humana Inc (NYSE:HUM), Metlife Inc (NYSE:MET), Target Corporation (NYSE:TGT), and Praxair, Inc. (NYSE:PX). All of these stocks’ market caps are closest to LVS’s market cap. As you can see these stocks had an average of 37.75 hedge funds with bullish positions and the average amount invested in these stocks was $2007 million. That figure was $1350 million in LVS’s case. Humana Inc (NYSE:HUM) is the most popular stock in this table. On the other hand Metlife Inc (NYSE:MET) is the least popular one with only 24 bullish hedge fund positions. Las Vegas Sands Corp. (NYSE:LVS) is not the most popular stock in this group but hedge fund interest is still above average. This is a slightly positive signal but we’d rather spend our time researching stocks that hedge funds are piling on. In this regard HUM might be a better candidate to consider a long position.